I think I've found a new favourite. It's instantly rocketed to the top of my list along with Duck & Waffle, 8 Hoxton Square and Pollen Street Social and I'm already thinking of excuses to go back. 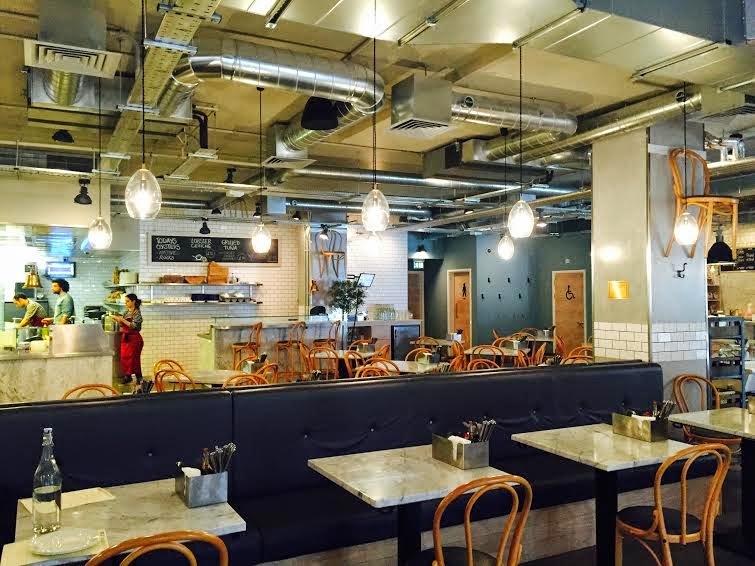 Hidden between two of the main streets of Soho, Rex & Mariano is the Goodmans' latest fishy opening and it's definitely a good'un. Previously an unremarkable Vodka Revolution, Rex & Mariano has transformed into a light and airy space with two open kitchens and a bar along one side and a combination of high and low tables on the other. Friendly staff greeted us at the door, showed us to a high table by the window, explained the ordering system (iPads) and left us to pore over the menu. We were celebrating so I gravitated to a glass of prosecco each, naturally. 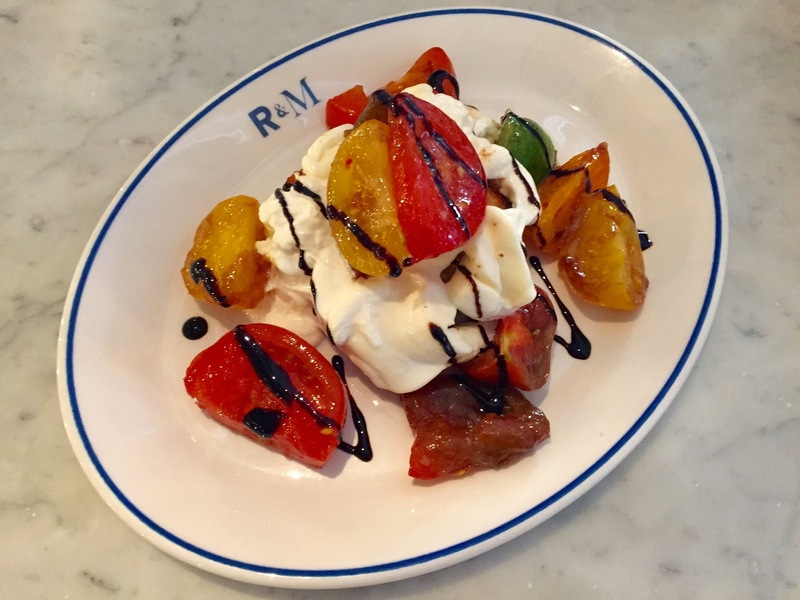 Simple to order, they appeared pretty sharpish and were crisp, fruity and light and a perfect accompaniment to our starter of burrata. The combination of creamy cheese with simultaneously sweet and smokey tomatoes on a bed of focaccia rendered us temporarily speechless and transported straight into summer. Choosing mains was hard but we eventually settled on the tuna tartare for me and the Sicilian large stripe prawns for S, along with courgette fries and aioli. My tartare was divine - cubes of fresh fish on a bed of avocado puree, topped with colourful red chilli for a bit of bite and the lightest touch of sesame. Definitely guilt free, I added a bit of S's roasted lemon and Tabasco from the table to bring the flavours to life. 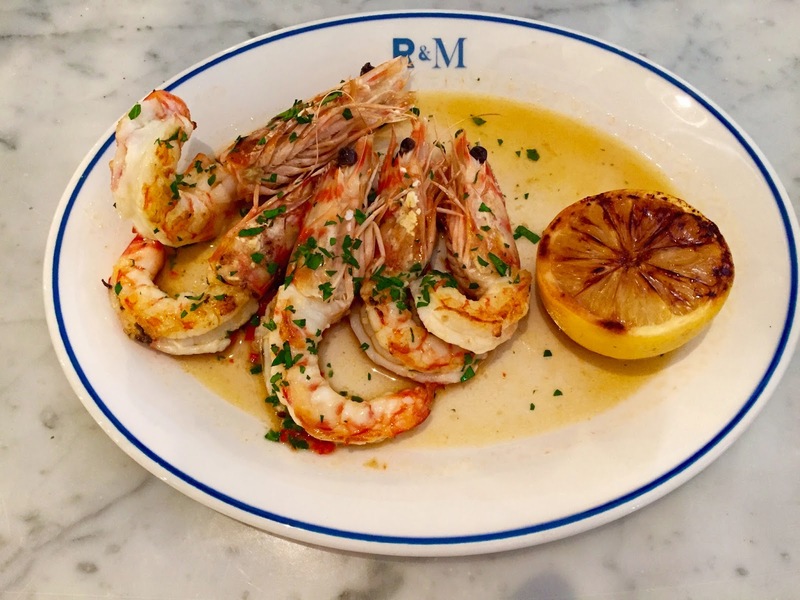 S's dish stole the show, though, and reminded me of the brilliant meal I had for my birthday in Savelletri's Osteria del Porto last year - enormous prawns in a lemon, garlic and parsley oil. Deliciously sweet and meaty, these guys were so moreish I could have eaten them all day. We mopped the oil up with the courgette fries - a generous portion that were brilliantly cooked (no soggy sticks here) - and had to stop ourselves from ordering more. 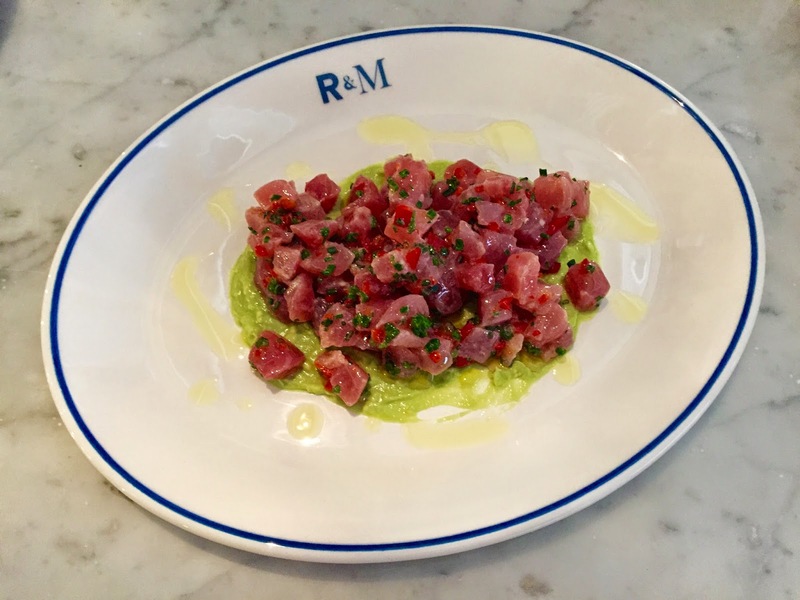 The guys at Rex & Mariano (so named for Rex Goldsmith, The Chelsea Fishmongerer and Mariano di Vigni) have got this restaurant spot on. Affordable, accessible fresh fish that you don't have to travel miles for, I've already planned another trip. Five out of five for sure.